At the at the beginning of March, Riga’s Splendid Palace cinema hosted the Latvian premiere of the film “Road’s End”, shot by the Swedish director and documentary filmmaker Maud Nycander. This is the story of a woman who brought up two children who have now moved away into the “big world”. During the shooting of the film the son lived in Norway and the daughter got married in Italy. 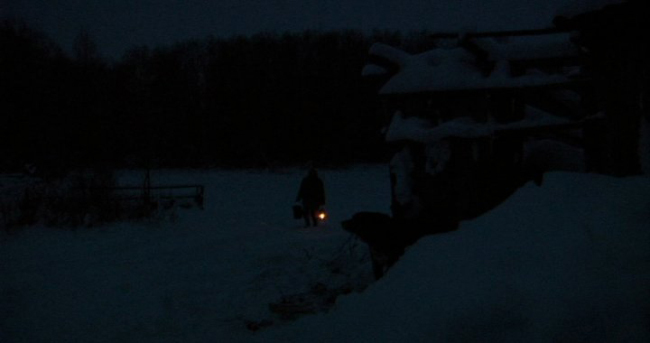 This woman was living alone in the house where previously she was happy, in the Latvian rural wilderness without electricity, TV or other comforts of civilization. She chopped wood in winter, went to fetch water, fed her goats, her cow and her dog who she named George Bush, all by herself. 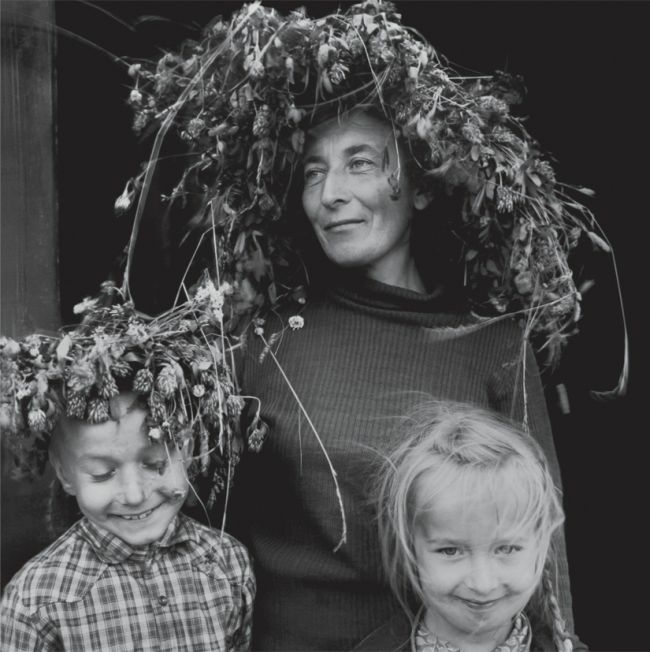 This woman’s name is Daina Tavare, and she was photographed multiple times by Inta Ruka, who is easily the most famous Latvian photographer in the world. Her theme is rural people and urban people who live on the outskirts of cities in 2-3 story houses, where life on the streets smoothly flows into life in the apartments. However, most of all the photographer is interested in rural people, especially those on small farms which are small fortresses of human civilization among the huge world of forests and fields. Inta Ruka’s photographs became an important part of “Road’s End” by giving it a new dimension, which is time. 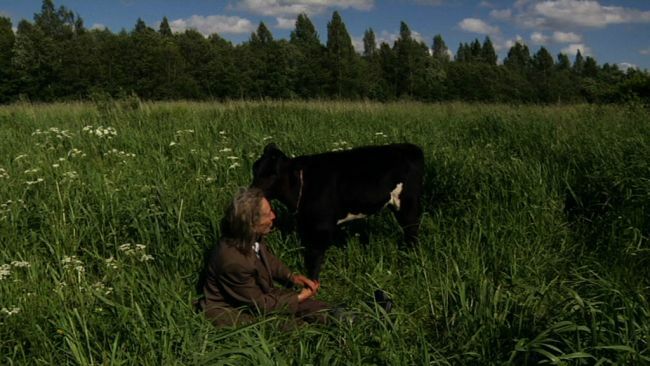 At the same time the film is not the first result of cooperation between Maud Nycander and Inta Ruka. In 2009 Maud made a film about Inta, the photographer and the woman who has worked many years as a cleaner in the Swedish embassy. The ambassador himself allowed her one working day a week to devote to photography. Maud started out as a photographer as well, but then she turned to documentaries. 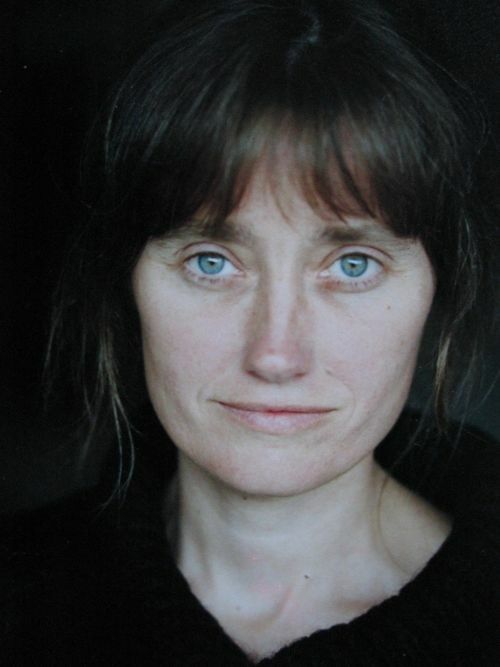 She received multiple awards for her works, including “Best Documentary” in 2007 at Prix Italia for her film about a young nun called “The Nun”. 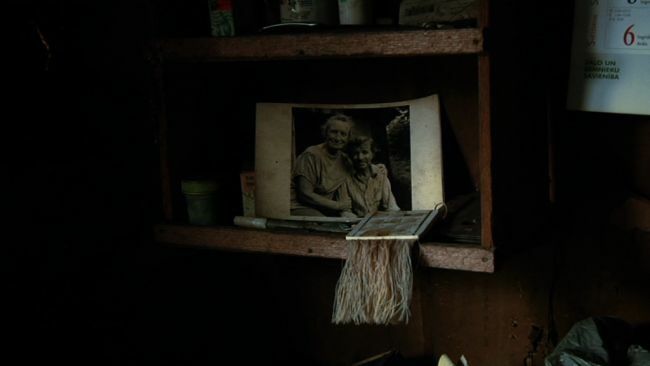 The Latvian premiere of “Road’s End” (shot in 2013) was attended by Daina and her son who returned from Norway to Latvia, helped his mother move to a new house with much better comforts and now undertook a lot of the house chores, so chopping wood in the winter is no longer a problem for Daina. Inta Ruka told the audience about it at the premiere and the whole affair had a real happy end. In the wake of the general uplifting mood after the premiere the audience didn’t disperse for about an hour. We stole Maud Nycander for a small interview straight from the premiere, took her to one of the halls at the Splendid Palace, sat down on a couch and turned on the dictaphone. Why did you decide to make this film? Do you think that the Latvian “wilderness” is something special, something that can interest the Swedish audience? First I made a film about Inta Ruka, and during the filming process she introduced me to Daina. And Inta already knew Daina for 35 years and started taking photos of her a long time ago. I filmed Inta when we went to visit Daina, and I was really impressed by her. How she dealt with life in the forest and how she manages without electricity, without modern sewage and so on. And when I returned to Sweden, I continued to think about her for the whole winter, how she was doing when the outside temperature was -20°С. When I returned to Latvia, we decided to visit Daina, to see how she was getting on. I asked her what she did in the evenings when it got dark, without TV and other things like that. And she said a wonderful thing: “I reminisce about the past”. And I thought, that is exactly what many generations before us did in the winter evenings, they reminisced about the past. For me meeting Daina was a type of time travel, I could become acquainted with how my great-grandfather and great-grandmother lived, as they were also farmers. All Swedes come from peasant families in one way or another. In my generation most people’s grandparents were precisely that. I think that was the initial push. And then... every person has their own history, their own stories in the general chorus. And this is a story about a very strong woman who happened to live a difficult life. She needed to find solutions to numerous problems that she encountered. This was also a story about family, about love, about the relationships between generations. What role do Inta Ruka’s photographs play in the film? I think that the film wouldn’t be able to exist without Inta’s photographs. Thanks to them we can shift in time of Daina’s plot line. For example, we can see her in the times when she was a young mother with two small children. She was young, beautiful, even now she has a fantastic and very charismatic face. So the time passes, the children grow, Daina also experiences some changes. 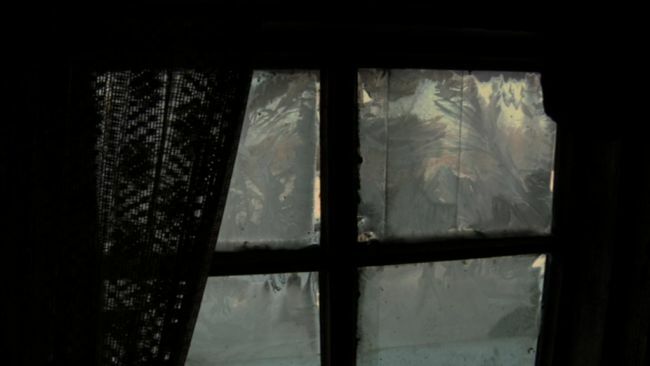 The photographs add an existentialist level to the film. If we only showed Daina from today, it would have been a more flat film. How did you meet Inta and why did you decide to make a film about her? I had an exhibition at the Latvian Museum of Photography sometime in 1995, that’s when I first met Inta in Riga and we became acquainted. Then we ran into each other in Stockholm and became friends. I also did photography at the time, it was only afterward that I started making films. And that’s when I got the idea to make a film about Inta. It seems to me that you are interested in strong female characters. You also had a film about a young nun, called “The Nun”. All those three women are very interesting. They make decisions which change their destiny. But on the other hand, some things happen to disrupt their plans. Of course I also filmed other stories, not just about those women, but I think you are partially correct. It was not easy for a woman especially in the past to stand out from the crowd and control her own destiny. Is there something similar between the life of a nun and the life of a lonely woman in a forest? My heroine is a nun that lives in the monastery of the Carmelite order in Sweden which practices monastic silence. During the day they can only talk for 40 minutes after breakfast and for 40 minutes after dinner. This is ultimately a very short time. During the rest of the time everybody is silent. Therefore you have to spend the majority of the time with yourself and your internal world. And this is similar to how Daina lives, as she spends most of the time with herself. Daina fit into the film very naturally. And at the Riga premiere she also acted very dignified and it seems that she wasn’t even nervous. The way she speaks is beautifully structured and full of imagery, and she has a great sense of humor. Can you imagine, she named her dog (who is huge and loves her owner) George Bush! You might think that she lives so far away from civilization and doesn’t know what is going on in the world. On the contrary! I think for me it would be unreal to stay there in the winter with just the animals. I think I would go insane. Daina is very strong. She has to feed the animals, she has to make food for herself, she has to stoke the fire which is not a simple task. And she had a chance to move to a different house with electricity and television, but she didn’t want to do it until her old house pretty much crumbled down completely. The film is about the choices we make in life. And about the place where you live and how it grows into you. Young people don’t think much about it, but old people contemplate this more. The place where Daina lives is near Balvi, it has a lot of mosquitoes in the summer, there is a dense forest, there are no high hills, fantastic lakes or beautiful rivers. But Daina likes this place because her memories are connected to it, because this is the land that she devoted her labor to. And that is very humane. What do you think about Inta Ruka’s photographs? Why are they so popular, what do people find in them? Inta is a unique talent of communicating with people and forming relationships with them. She is so interested in the people that she meets. She is also from those places, she used to live there every summer, her mother was born there. She spends so much time just talking to the local people, and she really does like doing it. In general, I am talking about the talent of forming relationships with people, the talent of building bridges. And she has an incredible “eye”, the photo-vision. Everything together is an amazing combination. In Sweden we have a photographer Sune Jonsson who was very important for our country, because he documented such things and such ways of life that don’t exist any more in our time. And this is somewhat similar to what Inta is going in Latvia.